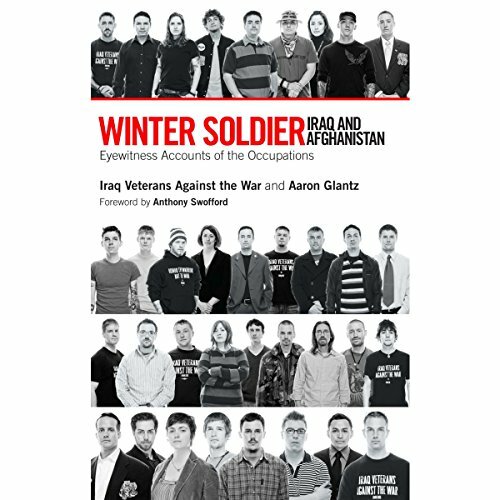 In spring 2008, inspired by the Vietnam-era Winter Soldier hearings, Iraq Veterans Against the War gathered veterans to expose war crimes in Afghanistan and Iraq. Here are the powerful words, images, and documents of this historic gathering, which show the reality of life in Afghanistan and Iraq. "Here is the war as it should be reported, seeing the pain, refusing to sanitize an unprovoked attack that has killed over one million people. All over America are victims who have returned from this conflict with hideous wounds - wounds that turn the lives of the entire family upside down. And the American people are not seeing this. Until now. Full cast of narrators includes David Ledoux, Anthony Swofford (foreword), and Vikas Adam. ©2008 Iraq Veterans Against the War and Aaron Glantz (P)2012 Audible, Inc.
You will NEVER hear these stories on the front page of the family newspaper— they're certainly not on the broadcast TV news. These important, often tragic stories from the front tell not only of the war crimes and tresspasses in the combat zones, but of the institutionalized military culture that changes every outcome, often at great personal expense. In matter-of-fact, un-sensationalized voices, we get the view from the Front and from within. The studio team at Audible did a terrific job casting this audiobook— it comes alive with multiple voices that sound like the amazing diversity of the book: every region of America, every race and class, men and women, young and old. The book was very good but almost all the introductions were missing, which made the listening to the book less enjoyable.